Aviation SMS auditors are usually not welcomed with open arms. They tend to be sources of high-stress for safety managers and company executives. An auditor wielding a pen and checklist can be quite nerve wracking. It’s easy to view auditors as someone who is trying to seek out what your aviation SMS program is doing “wrong.” It’s equally easy to forget that audit preparation is one of the most valuable time periods for building your safety program. Improve global risk management abilities (not just during audit preparation). Good aviation auditors provide a benchmark for how to “think like an auditor.” These kinds of auditor show up at your door ready to illuminate and cooperate in order to improve your safety management system. This is the same attitude safety managers need to have when working with their safety programs as well. 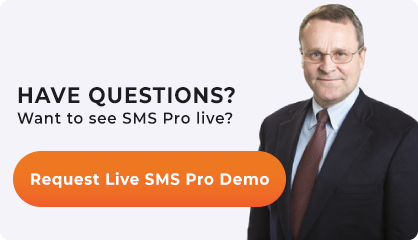 To assess how your SMS program is being guided by your safety management team. Ability for you to create operations that best fit your company, and make compliance requirements work for you. When auditors are evaluating your SMS program, they are interpreting requirements to see how your SMS program fits. If you as a safety manager have not already done this, you will have a much harder time justifying within the bound of compliance why you made certain decisions. If you HAVE interpreted compliance, you will cut out much of the auditors work for them, as they will see that you have done your homework and understand what you are doing. BECAUSE they couldn’t show why or how they came to certain conclusions. When an auditor asks you why you classified a safety issue with a particular classification, such as a hazard or root cause, and you “can’t remember” why you made that decision, it’s the same as saying I don’t know. Even if you had perfectly good reasons at the time of classification, it is all for nothing if you can’t show that to an auditor. What you are doing is working. Further demonstrates that you are meticulous in risk management activities. Thinking like an auditor means being meticulous in documentation, such as documenting each step of decision making (i.e. history of how conclusions were arrived at) and justifying those steps with reason. You know something is well organized when a stranger can follow and/or find things with little difficulty. 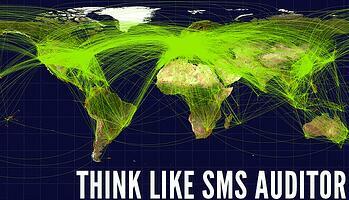 Organization indicates that you have a proper high level understanding of the role of each SMS element. As with the other “think like an auditor" examples, it’s one more demonstration that you know what you are doing. A good test is to invite a stranger to see how well they can navigate your SMS documentation. Can show relationship between documented SRM/SA process and safety issue management. Safety managers will be best-in-class audit performers when they take the time to ensure that their activities are consistent, backed by safety data, and follow documented processes. That the process is not out of line with compliance guidance. Make sure decisions are made passively or routinely.